These resources are all linked by a connection to the archaeologist William Matthew Flinders Petrie (1853-1942), who excavated numerous sites in Egypt and was integral in the formation of the Petrie Museum collection. For more information on the participating museums, click on About Us. For a full list of resources, click on Resources. 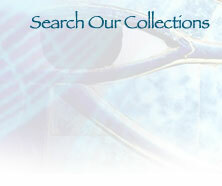 To explore the collections, click on Search Our Collections. This site was created by the Petrie Museum of Egyptian Archaeology. The virtual curator, responsible for all Collections of Virtual Egypt and Sudan resources and Egyptological content is Dr. Margaret Serpico. Questions or comments can be sent to her here. This project was funded by the Designation Challenge Fund and the Arts and Humanities Research Board.